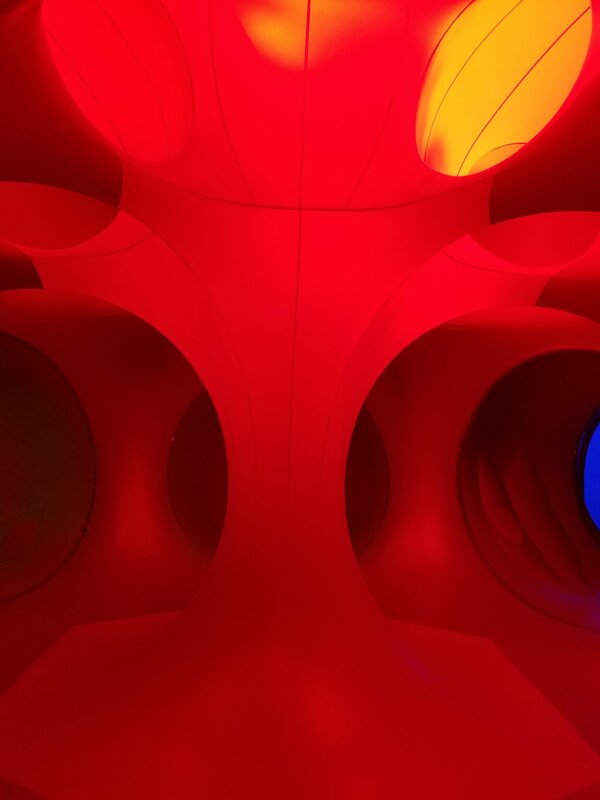 With winding paths, soaring domes, and a world of color, Architects of Air travels the world with their inflatable walk-in sculptures. Thanks to Nauticus and several other partners, they have made their way to Norfolk from May 11-14. The experience is what you make it, no two visits are alike as the atmosphere inside can be altered depending on the weather, time of day, the number of people inside, and even whether you walk it alone vs with a group. Upon entering the airlock, I was handed a map and greeted by a cheerful staff member. She used Kaleidoscope as the descriptor for the inside, and said that the theme of "Tree" can be interpreted in any way I saw fit. 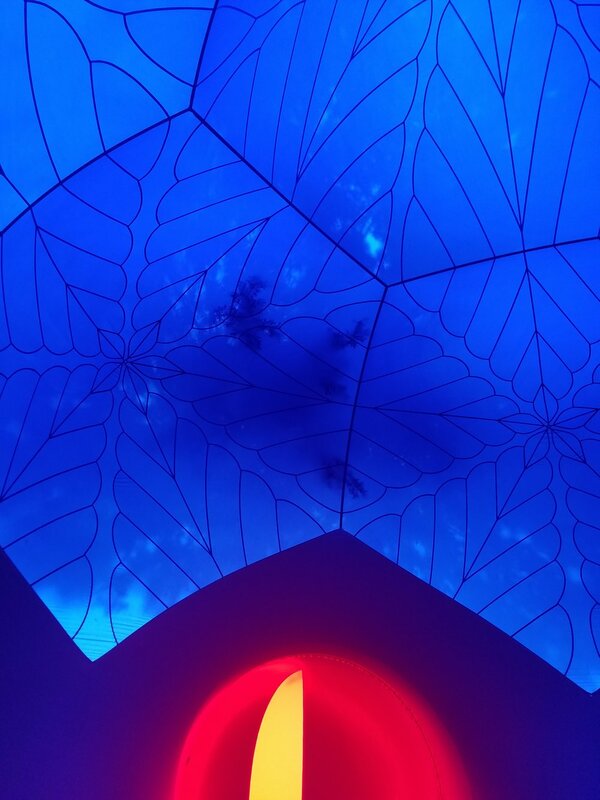 There are 5 domes and 3 trees, but this art is the size of a football field, so you are likely to forget the number once you get in. 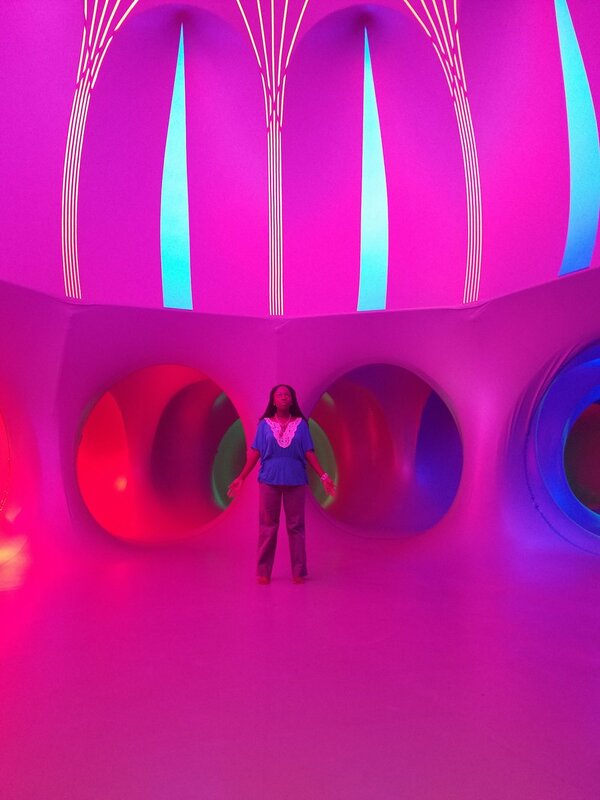 The colors are rich and vibrant, and the round passageways seem un-ending. While photographing the different domes, I noticed that even with a slight tilt of my camera, the colors would change right in front of me. 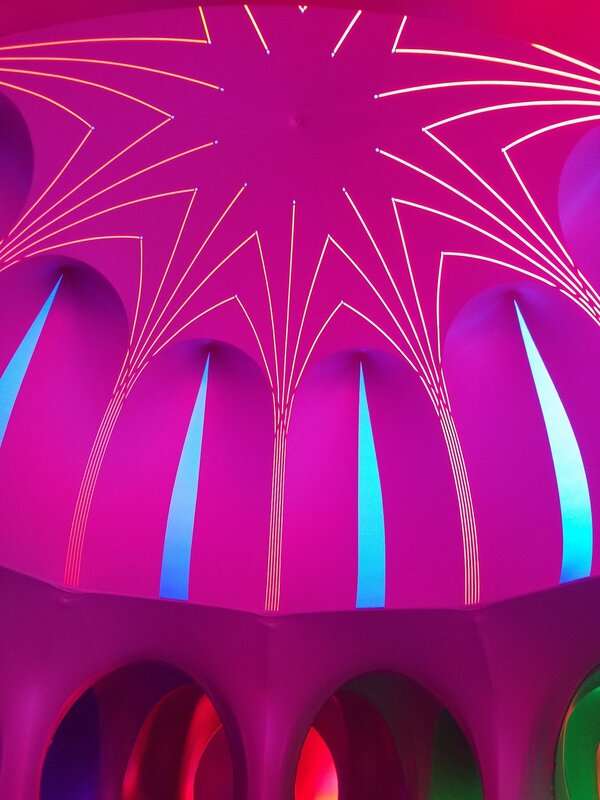 Streams of light peak in through several of the domes, while others are calming in appearance allowing your eyes time to rest. 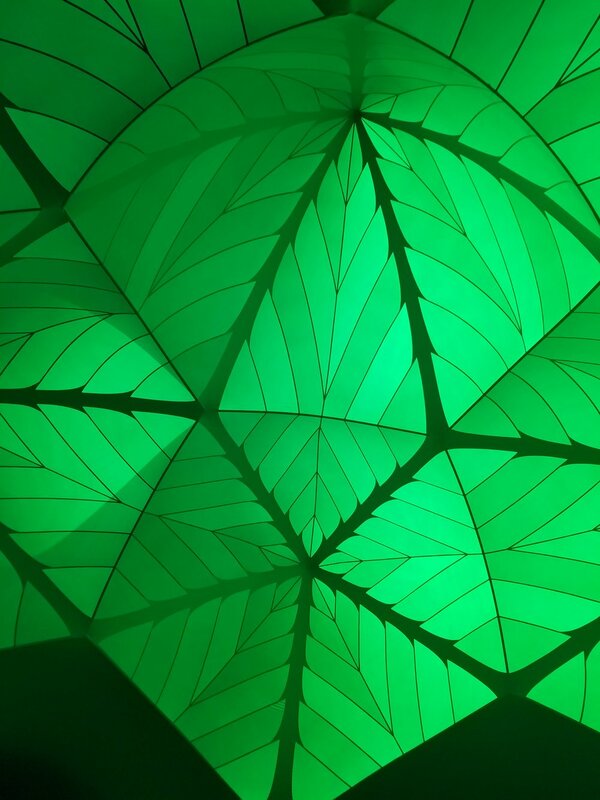 The Green Dome is flocked with leaves on the ceiling, which represents Spring. What a coincidence that a tree from outside resting perfectly on top of that area. Making my way through the channels, it wasn't until reaching the Blue Tree (of winter) and the Red Tree (of fall) that I stopped to hear the music. From birds chirping, to calming ocean waves, and leaves rustling I was truly at peace.I suggest during your visit to take time to sit in one of the nooks, close your eyes, tune out the noise around you and focus on the music to get a deeper feeling of the experience. Bring me a yoga mat and I could have stayed there in Savasana for hours. Upon entering the Main Dome, I felt it was appropriate to stand in Vrksasana (Tree Pose) to reflect on all that I had seen. Come for excitement or peace and calm, you are likely to get both. 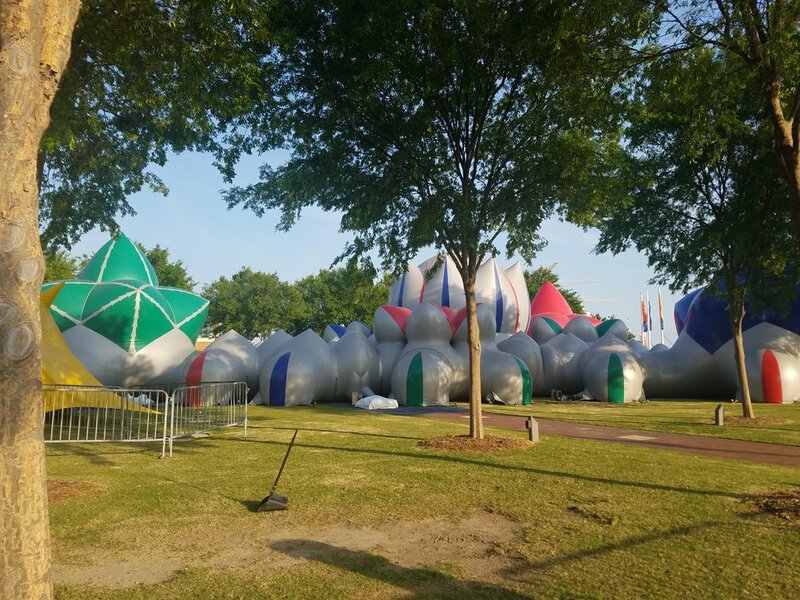 Arboria Luminarium will be on display right next to Waterside District in Norfolk from Thursday May 11 - Sunday May 14th from 10 am -7pm. The cost is $5. For more information, visit the facebook event page.